Private and public education have had a long and winding road together. Their purposes are the same, they look and feel very similar to one another, and yet, they’re often pitted against each other. Families all want the best for their children, and know that school and education is one of the most important factors in a child’s success and overall well-being. Most families end up, at some point or another, trying to decide whether a public or a private school make the most sense for their child. 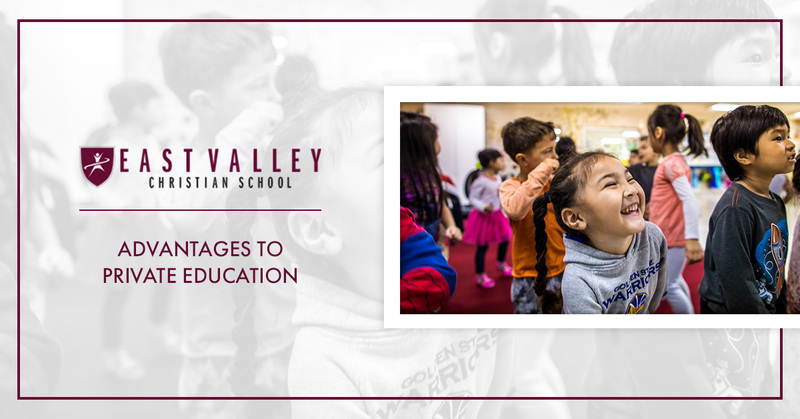 At East Valley Christian School, we recognize the enormous value that all schools have, but we’re going to spend some time focusing on some of the benefits that come from private education. 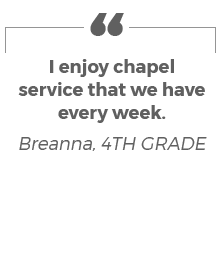 We believe that all schools and all children have potential, but we are confident that our Christian school can provide something that others cannot. Learn more, and take a look at our admissions and application timeline pages to begin thinking about enrollment! At EVCS, we have preschool and early childhood programs, all the way up to 8th grade. Your children and family can be a part of the EVCS community for nearly all of their earliest (and some of the most important) years. At other schools, it can be a challenge for kids to jump from preschool to a different school for kindergarten, then a different school for 6th grade and so on. By enrolling and sticking with EVCS, your family is known, respected, and cherished by our staff and school for years to come — this definitely beats the alternative of having to start fresh every few years. Just as how it can be challenging to go from school to school for the sake of familiarity, it can be an even greater challenge when kids have to adjust to new expectations. Both academic and behavioral expectations can alter quite a bit from school to school, but the consistency that all classrooms maintain in expectations at EVCS makes it easier for kids to adapt and succeed. When less time needs to be spent on covering and practicing and learning expectations, more time can be designated to curriculum and the lessons themselves. Public schools cannot provide a Christian-based education (though we’d say that many of the same principles, such as the golden rule, share similarities with Christian beliefs), and that’s OK, because that’s where we come in. If your family wants your child to be raised in a school that emphasizes and teaches with Christianity as an essential and pivotal part of the educational experience, EVCS is absolutely the school for you. The lessons that you and your family have always practiced outside of school can suddenly be implemented in every part of life. 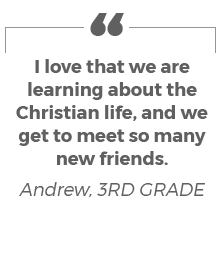 For many families, this is a huge advantage to private Christian schools, because their beliefs are at the forefront of their child’s education. To be fair, most — if not all — teachers, regardless of whether in a public or private setting, want to push their students to succeed. The purpose of educators everywhere is to help students learn and grow. However, the demands that public teachers must meet tends to be intense — when a teacher has half of the class reading below grade level and only one or two students who are academically above their peers, needs can, admittedly, get overlooked. This is not the fault of the teacher, but it is a reflection of some issues with the system and the help and interventions available. Private schools like EVCS are academically rigorous. We don’t mean that in the “popular buzzword” type of way, we mean that our school is designed to challenge students at every level. Because we use an application process to see who is a good fit for our school (and if our school is a good fit for the child), we can tell if students will thrive under the academic pressures that EVCS has. 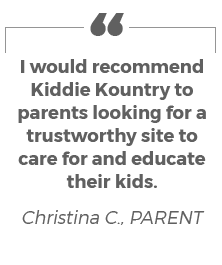 We know that further educational endeavors are intense, and we also know that many children are not prepared when they get there. EVCS makes sure that all students who enter our doors leave fully ready and determined to tackle the world of academia, with full confidence and vigor. Many think of private school and instantly think of it as something that’s only for wealthy families. It is true that private school nearly always requires some kind of tuition for students to attend. However, EVCS offers up to $50,000 in tuition for students each year, offering an exceptional education to students who otherwise might not be able to afford it. We believe that nobody should be discouraged from academic growth and success due to financial status, which is why we’ve made it part of our mission to provide the best in education in an affordable manner. Private schools, such as EVCS, are an outstanding educational choice for families and their young ones. With all the differences that people can feel between one another, especially in this day and age, one thing that we all have in common is that we want the best for kids. And we all recognize education as being a vehicle for kids to have greater opportunities in life. East Valley Christian School is absolutely a place for this to happen. 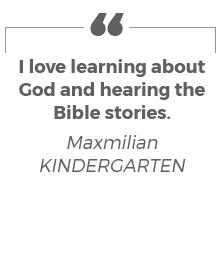 Our private school presents an educational and Christian experience that will help build incredible character in your child. Inquire about applying to our school today, and see the benefits of private education firsthand.